View cart “PowerUp Boat – Powered Paper Boat Conversion Kit” has been added to your cart. 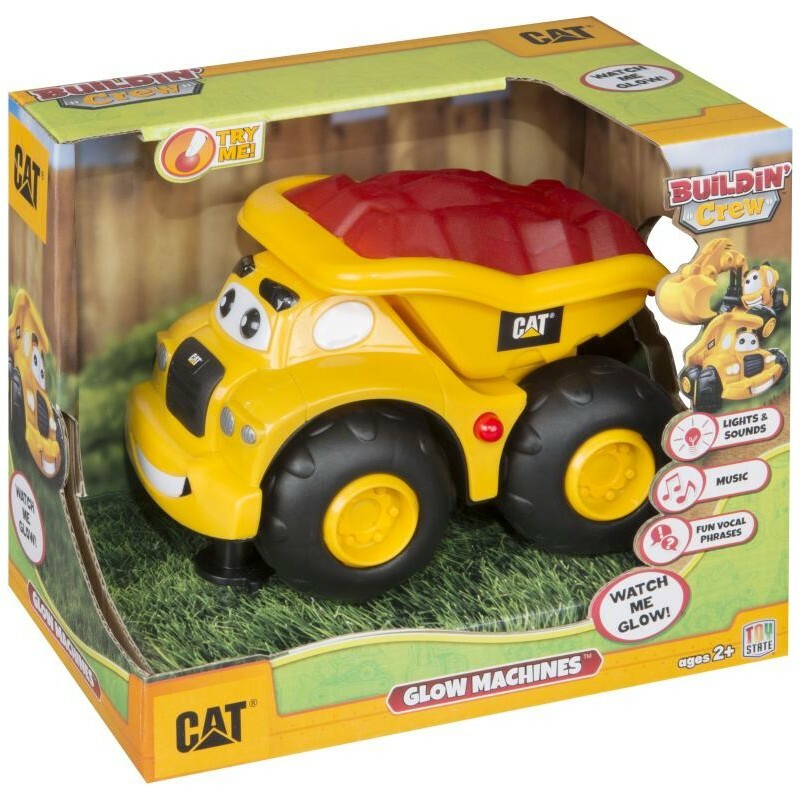 CAT Glow Machines Haulin Harry Dump Truck is perfect for little construction fans. Caterpillar work machines are made to have the feel of real, and this CAT Glow Machines Haulin Harry Dump Truck is no different with a realistic truck ready to work! Don’t forget the super cute Glow function for even more fun. Push the button on the side for music and fun vocal sounds. 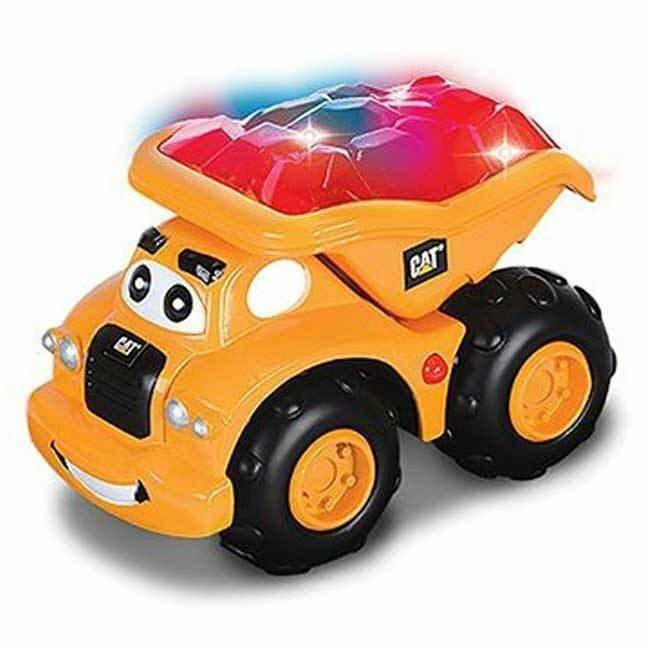 This CAT Glow Machines Haulin Harry Dump Truck is made of sturdy plastic so when you are doing some earth moving this work machine will last. Music and a super fun glow function make this Dump Truck super fun for even the youngest of operators. 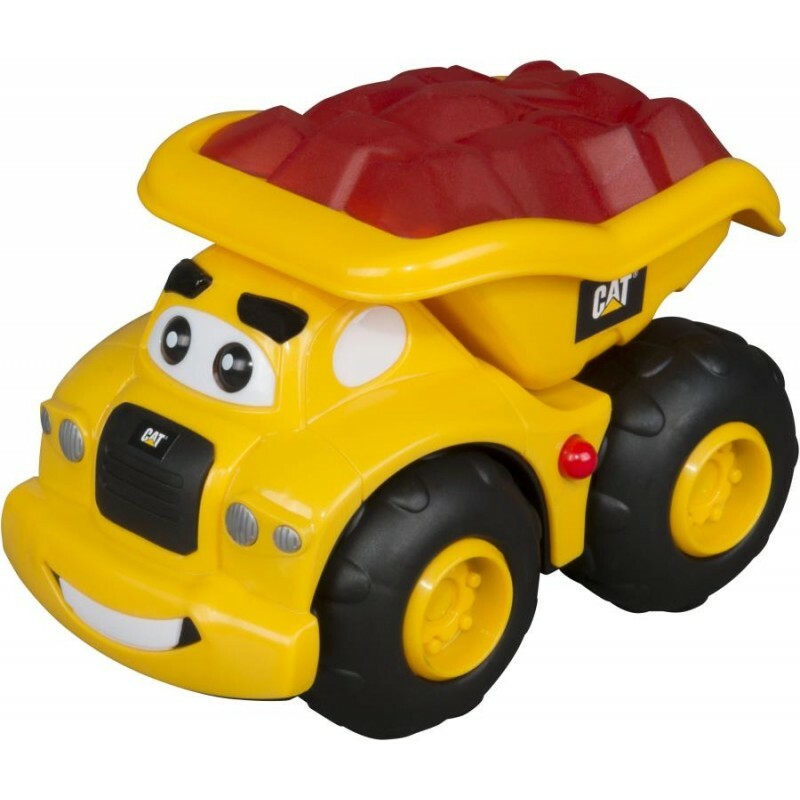 A friendly face gives Haulin Harry a personality and makes the sandpit even more fun. Harry is a push along truck but batteries are required for the glow and sound function.